Gemtastic is a colorful avalanche game by Red Tiger Gaming. This game landed in the lobby of online casinos in January 2019, and it invites players to make winning combinations on 6 reels and 5 rows. The overall game is appealing, even if it uses a common gemstone theme. Plus, the highest paying symbols are very easy to spot since their the most colorful ones, and they sit on a dark blue background. What’s more is that after loading the game, players will quickly notice a multiplier meter on the right-hand side of the reels. And they’ll have the chance to progress on the ladder, as it’s the case for many popular slots nowadays, with every consecutive win. But, Gemtastic does have some unique features, and you’ll learn them by reading the below review. Bonuses & features: Multiplier, colossal symbols, cascading reels, and extra wilds. Suitable for: Everyday pleasure seekers and Daredevils. Gemtastic stands out from existing avalanche gemstone games for different factors. The first one is, of course, the very high multiplier (up to 15x) players will have the chance to trigger. But as for many avalanche games, the first multiplier players will get will only double the value of a winning combination. And the second multiplier will triple it, and the third multiplier will quadruple the value of a winning combo etc. Which means, to get the highest multiplier available in this game you’ll need to win 14 times consecutively, and they’re two different features that will help you climb the multiplier ladder. As you spin the reels make sure to keep an eye for symbols which have a rainbow outer blow. In fact, making a winning combination with a symbol in a “rainbow frame” will always give you extra wilds! And consequently, they’ll give you a shot at winning more on your next spin! Randomly as you spin the reels, you’ll see colossal or mega symbols. The colossal and mega symbols you’ll get a completely random and can cover 2×2 tiles or 3×3 tiles. A great thing about Gemtastic is that to progress on the multiplier ladder, you only need one win to get to the next level. In fact, if you’re a savvy casino player, you may already know that some avalanche casino slots will require you to win 2 or 3 times per multiplier index in order to progress to the next level. And it’s not like this in this game. So it’s very beneficial to players! What’s more is that this game also offers an excellent max win that could see you pocket 10,000x your stake. So why wouldn’t you want to try it? 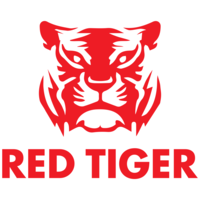 Red Tiger Gaming slots are available in many online casinos. Also, it’s worth knowing that the game provider recently inked deals with Casumo and Casino Heroes. So visit their site to try Gemtastic today.